Our Mason traffic law attorneys devote their expertise to fighting traffic citations in the Mason Municipal Court for all drivers with any class of license. 331.08 Left of Center. Drivers must remain “entirely within a single lane or line of traffic and shall not be moved from the lane or line until the driver has first ascertained that the movement can be made with safety.” If a driver weaves or drives left of center in violation of this law, it is a minor misdemeanor if the driver has no other traffic violations in the previous year. 331.09 Following too closely. This law prohibits a driver from following “another vehicle more closely than is reasonable and prudent, having due regard for the speed of the vehicle and the traffic upon and the condition of the highway.” If no prior traffic violations within the last year, following too closely is a minor misdemeanor carrying a maximum fine of $150. 331.12 Illegal “U” turns. In Mason, U-turns are generally prohibited at intersections, on streets in a business district, on the highway and anywhere a “No U-Turns” sign is posted unless the U-turn “can be made with reasonable safety to other users of the public way and without interfering with the safe operation of any traffic.” If no prior traffic violations within the last year, an illegal U-turn is a minor misdemeanor carrying a maximum fine of $150. 331.14 Turn Signals. A driver must signal at least 100 feet before making a turn or changing lanes. If no prior traffic violations within the last year, failure to use turn signal is a minor misdemeanor carrying a maximum fine of $150. 331.18 Stop Signs. At a stop sign, a driver must stop at the clearly marked stop line. If there is no stop line, the driver must stop before entering the crosswalk. If no crosswalk, then the driver must stop “at the point nearest the intersecting roadway where the driver has a view of approaching traffic on the intersecting roadway before entering it.” After stopping, the driver must yield to any cars already in the intersection. If no prior traffic violations within the last year, failure to stop at a stop sign is a minor misdemeanor carrying a maximum fine of $150. 331.21 Yielding or moving over for emergency vehicles. When an emergency vehicle (police, fire) has its lights or siren on, all drivers must yield and pull as far as possible to the right to allow the vehicle to pass. If no prior traffic violations within the last year, failure to yield to an emergency vehicle is a fourth degree misdemeanor. This offense carries a maximum fine of $250 and a maximum 30 days in jail. 331.34(a) Weaving. Prohibits weaving or driving in a “zigzag course.” If no prior traffic violations within the last year, weaving is a minor misdemeanor carrying a maximum fine of $150. 331.34(b). Distracted Driving. The law says that no person may drive a vehicle “without giving his or her full time and attention to the operation of the vehicle.” This catch-all law could include everything from texting or using a cell phone while driving to checking directions to eating a sandwich or putting on make-up. Anything that distracts the driver from giving “full time and attention” is prohibited. If no prior traffic violations within the last year, following too closely is a minor misdemeanor carrying a maximum fine of $150. 331.36 “Peeling” or screeching tires. Prohibits accelerating so quickly that the exhaust system “emits a loud, cracking or chattering noise” or that tires squeal or leave tire marks on the roadway. 331.38 Failure to stop for school bus. Failure to stop for a school bus is a serious charge in Mason – more serious than a speeding ticket or other minor traffic charge.Mason’s law says that if a school bus is stopped to drop off children, a driver must stop “at least ten feet from the front or rear of the school bus and shall not proceed until the school bus resumes motion, or until signaled by the school bus driver to proceed.” On a two-lane road, drivers in both directions must stop. On a road with four or more lanes, drivers going the opposite direction from the bus are not required to stop. Drivers must stop regardless of whether the bus “stop” sign has been extended. It is not a defense that the bus driver failed to extend the stop sign on the bus. *If you have been charged with failure to stop for a school bus, the Mason court has authority to fine you up to $500 and can suspend your driver’s license for up to one year. Further, if issued a citation for failure to stop for a school bus, you cannot just pay the ticket. You must appear in person at your court date to answer the charge. Failure to appear could result in a warrant. If you cannot appear in person, talk to a Mason traffic attorney about appearing on your behalf. 331.42 Taking Shortcut to Avoid Stoplight. When waiting at a long traffic light with a long line of traffic, it is tempting to cut through the corner gas station or restaurant parking lot to avoid the light. In Mason, this is illegal. The law says: “No person shall operate a vehicle across public or private property for the purpose of avoiding compliance with a traffic-control device.”If you cut through public or private property without using the service (getting gas, food etc) or stopping your engine, it is prima-facie evidence of a violation of this shortcut prohibition. 331.43 Littering from motor vehicles. It is a violation – whether intentional or not – to throw or drop litter from any vehicle onto a street or highway. Even if your passenger is the one that threw trash out the window, you as the driver are responsible. Littering is is a minor misdemeanor carrying a maximum fine of $150 and no jail time. 331.47 Texting while driving. Mason prohibits reading, writing and sending texts while driving. Reading a name or phone number for the purpose of making or receiving a phone call does not violate this section. Using Google Maps or other navigation on a handheld device also does not violate this section. A hands-free device also does not violate this section. You cannot be stopped by police solely for texting while driving. Violation is a minor misdemeanor carrying a maximum fine of $150. *Keep in mind, though, that although dialing a phone number or looking at navigation does not violate the ban on texting while driving, it could fall into the broader ban on distracted driving – explained above. If you receive a ticket in Mason, talk to an attorney your options. When you receive a ticket, you are required to either pay the ticket or to appear in court. Failure to appear for your court date could cause your license to be suspended. If you have missed your court date, talk to one of our attorneys about the details of your case and whether the suspension could be lifted and/or the ticket resolved. Other potential consequences for traffic violation convictions include points on your license, repercussions in your job, among other problems. Being proactive and addressing the citation right away is the best approach to get the most favorable outcome in your case. Often our clients are just visiting or driving through the Mason area when they receive a ticket. If you live out of town, our attorneys can work with you so that you do not have to travel back to Mason for court. We appear in court on your behalf so you don’t have to. 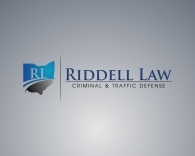 Contact our Mason traffic attorneys and speak with a dedicated lawyer who will advise you on your particular traffic citation. Sometimes our best advice is that you don’t need an attorney. In other cases, an attorney can help to have the traffic charge reduced to a lesser offense or to a no point offense. For more information or to schedule a free telephone consultation, contact us at 513-655-7240. We are open every day, with evening or weekend appointments available.